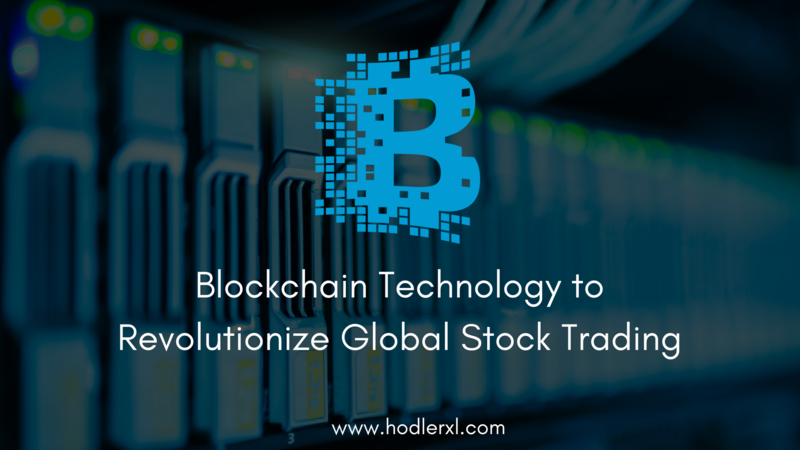 Blockchain technology is now revolutionizing the stock market trades worldwide. Truly, this kind of technology has now essentially reformed the future of record storing, chain managing, finance or money handling, and etc. It supports Ethereum, Bitcoin and most of digital currencies today. Aside from the significance to crypto, it has a wide prospective of changing trade stock marketplace and the means of storing and transmitting financial data all over the world. Blockchain is a promising technology in the world of stock trading. This is a real sign that it indeed has the aptitudes of influencing stock markets globally. It can leave a huge impact on stock industry the way it can influence crypto currencies. Some of the largest stock companies nowadays have begun applying it or started appointing commissions to conduct a feasibility study for its future use. Some of those are New York Stock Exchange- Nasdaq, Securities Exchange Board from India, Deutsche Bourse and Tokyo Stock Exchange. They are, same with other projects have adopted the idea of recording distributed blocks. It is expected that after a year or two, the number of company utilizing blockchain will go doubled. How can blockchain technology leverage the current stock markets? Possibly the greatest benefits it can do to stock trading is the fast settlement of trade. People clearly know that all stock regulator, broker and trader suffer from complicated and costly stock market processes. Usually, a single transaction requires three or more days to completely finish. It is primarily because of the part of regulatory process, trade operation clearance and intermediary. Additionally, it can actually produce a more operative stock exchange using decentralized and automated technologies. It can help on settling stock trades and can contribute on its future processing. Also, it would be very beneficial on raising funds and managing resources. It is an effective way to monitor systemic risks, to finance margin, to settle trades and to track security lending. Furthermore, it is expected to decrease the expenses imposed on consumers and if used properly, it can fully end the requisite for a middlemen. The principal tasks of finance services are verify and transfer financial data and assets. These are closely parallel with central transformative effect of blockchain. This is somehow the strategic value found beyond it. Most of the actual shortcomings and difficulties present on financial trade and cross border payment in particulars, can be answered by solutions built on blockchain. It could lessen the total count of needed third parties and intermediaries. Furthermore, the funds they can save could be really relevant. According to Oliver Wyman’s report titled as Blockchain in Capital Markets, operations and information technology expenses in capital market are presently close between a hundred and one hundred fifty billion dollar every year among banks. Security and post trade service fees are approximately of $100 billion. Nasdaq is known for its early adoption of blockchain. It actually belongs to the list of the first market exchange to embrace the power of bitcoin technology. This firm based on New York works at the meeting line in amid of technology and finance. It enables investor to safely direct finance market on a universal scale and connect the usefulness of blockchain technology. Linq blockchain ledger technology is used to keep private data transactions. Many investors know Nasdaq market for its traditional financing. However, since year 2013, it also became an industry lead in improving state-of-the-art security transaction procedures. It is one of the early explorer and incorporator of blockchain technology applications. Way back year 2015, the company declared its first non-public security transactions utilizing blockchain technology. For the record, Chain.com was the earliest client to have the service of Nasdaq’s very own Linq ledger platform. It also released a number of blockchain related directories which are the potentials of tracking companies. As they say, no things are made flawlessly and so is blockchain. Despite of the many good and impressive traits, blockchain has some minor inadequacies in terms of stock market. Just like anything else in this world, it also has imperfections. There are possibilities that it can create regulatory and legal issues that finance industry, regulator and even government need to overcome. Blockchain applications can actually carry out threats on the security and scalability standard of a certain project. For an instance, Shenzhen Exchange of China has had to remove misleading companies that associated themselves with blockchain though in reality, they are not. China has visibly adopted blockchain technology although the country banned any kinds of cryptocurrency until now. As a matter of fact, Chinese companies lead the innovation of blockchain. And just recently, June 03 to be exact, China Central Television held a show that focused mainly on this matter. On the show, China told that blockchain is ten times more treasured and more important compared to our present internet. In spite of the increasing difficulties that are unavoidable with any kinds of technology like blockchain, it is justifiable to expect this technology to track the same development path of the internet from day one of creation up to present. Truly, only the tough one can last. Most experts are certain that it can be the head of the whole technology in the future. On Reality Shares, it has the skills of reinventing government, society and company in a positive way. It can deliver the best investment opportunities for investor who can classify the real veracious companies. You can understand more of the dividends growth and investment method related to blockchain through their official website- realityshares.com. Reality Shares was co-founded and lead as CEO by Eric Ervin. He has led this firm from being wholly focused on dividend growth technique to being a pioneer and setter in the investment world of blockchain technology. With Eric guiding the team, the project has released the first ever submissive ETF concentrated on the international ecosystem of blockchain. Also, it will soon introduce the blockchain ETF which focuses on China. Ervin is a recurrent commentator about blockchain on CNBC.